Find hotel near Ethnological Museum Of Be ..
Ethnological Museum is an amazing place to visit if you want to know the true economical side of Germany’s history. It is one of the largest museums in the world to house items from the pre-industrial times. Most items here are procured from the materials and goods found before industrialization came in as a process. These items were the ones that were taken from the materials that explorers took from their expeditions, journeys as well as voyages. How popular is Ethnological Museum Of Berlin? 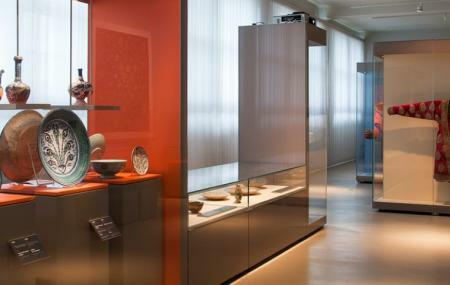 People normally club together Dahlem Museum and Hufeisensiedlung while planning their visit to Ethnological Museum Of Berlin. Lovely museum with some nice exhibits. The one about sheep, wool and how clothes are made was especially great and probably very cool for children. Shame that many parts seem to have been under reconstruction and inaccessible. Staff is also very nice and helpful. If you read through some of my other reviews, you will notice that it is usually important to me that people treat their guests politely. I am used to qualifying that, at least in my head. You know, like they were really nice for the culture they are from.... But the staff in this Museum are some of the friendliest staff my wife and I have encountered in ANY museum, ANYWHERE. The exhibits are interesting - and they have a few unique pieces you won't find anywhere else in the world. Kind of different from the description. Good for children to spend time. For adults, it takes you 40 minutes to go there and 30 minutes to finish the tour.